The Sankari Village in Uttarakhand is a route to The Paradise of Himalayas for every trekker. It is not just a scenic hamlet situated in Uttarkashi district but also a trekker’s delight. The Sankari Village is the last road head to the Govind Balabh Pant Wildlife Sanctuary. The village offers ecstatic views of the Himalayan skyline and a plethora of mountain peaks, gazing at you from a distance. The ride to Sankari from Dehradun is a 200 km long ride and is a 7-8 hour journey. At Sankari, you will not only discover the lushness of The Himalayan Valleys of Uttarakhand but also get a chance to indulge in the local culture and have an insight in the lives of the Himalayan people. The background of majestic mountains, lofty pine forests, rivers like Yamuna, Tons, Kedarganga gushing beside the path you travel on to with the Himalayan roads accompanying you all the way long, a journey of lifetime it is. It is advisable that you take a bus till Purola from Dehradun and then further from Purola book a cab till Sankri, as the drive from Purola to Sankri is a majestic one. The route till Mori passes through beautiful lush Pine forests, after reaching Mori the road goes against the lavish Tons River and then you enter the valley. Sankari (Sankri) is famous among the tourists as a Trekking Base Camp. Sankri Village is a popular destination for the following activities- Adventure, Base Camp (Trek), Bird Watching, Camping, Emerging Destinations, Offbeat, Orchards, Schools and Universities, Village Tourism, Zipline activity. There few budget hotels, many homestays in Sankri and its adjoing village (Saur). To get the best experience both in terms of food and accommodation you must try Meraki Homestay in Sankri. The trek to Kedarkantha from Sankri beholds the sight of lofty Himalayan Peak of Kedarkantha that is a moderate climb even if you are a beginner. It is one of the top winter treks in Uttarakhand. The trek begins from sankari being the base camp and then you further pass through a number of scenic locations like the Juda Ka Talab and Hargaon then further leading top Kedarkantha. The Har Ki Dun Trek is one of the guide to begineers as to have an experience about trekking in the Himalayas. The trek starts from Sankri being its Base Camp, Har Ki Dun is the trek amidst the natural vegetation and meadow-like lands of the Himalayas. It passes from a number of serene villages of Uttarakhand like Seema, Taluka along with the option to trek the nearby treks like Jaundhar Glacier or the Maninda Tal Trek. The Bali Pass Trek is a high altitude trek that gives you the sight of the majestic Himalayan peaks like the Banderpoonch & Swargarohini. The trek to Bali Pass starts with Sankari being the Base Camp of the trek. It goes by many scenic locations and villages like Seema, Taluka, Dev Thatch with the Ruinsara Tal being midway. You will also get to visit the Damini Forest Camping Ground and Janki Chatti on your way to Bali Pass from Sankari Village. A beautiful glacial lake that is located at an elevation of 3500mt above the sea level, the Ruinsara Tal Trek is a trek in the majestic Sankari Range of the Garhwal Himalayas of Uttarakhand. This lake adorns the beautiful Kalanag Peak in its scenery and is considered to have a holy significance in Indian Mythology as it is considered to be one of the pathways travelled by the eldest Pandava brother, Yudishtra, while he was travelling to Swargarohini in search of heaven. It is an easy trek with Sankari being the base camp the trek begins from Taluka and it also moves largely towards the Supin River Valley. A less explored trek considered as the seventh heaven of the Himalayas, the Borasu Pass Trek is one amongst those treks that cross into Himachal from Uttarakhand. This trek will take you on a culturally diversified trail of the Garhwali as well the Kinnauri people of Uttarakhand and Himachal respectively. It starts from Sankari being the base camp and then further head towards Seema, Taluka the Har Ki Dun Valley and then further towards Ratha tho via Marinda Tal. Gradually reaching at the Borasu Pass and enjoying the scenery of the high altitude mountain peaks like Kalanag, Swargarohini I, II, III. An expedition in the midst of the emerald meadows of the Himalayas, The Dev Kyara Bugyal Trek is an utterly exhilarating trek that will leave your heart and soul captivated by the majestic beauty of the Himalayas. It is located at an altitude of 3745mt and is a sight to enjoy in both summers and winters. The alpine meadows, moraine ridges, glacier basins, dense pine forests and ancient Himalayan villages will make your journey a memory of a lifetime. The dev Kyara Bugyal trek begins from Sankari being the base camp and then further the trek passes from villages like Jakhol, Obra and Bhawa. The Bharadsar Lake Trek is a less explored trek that passes between the Rupin and Supin Valley on the northeastern part of Uttarakhand close from the Himachal border, heading east and then south. The trek will take you through the Briti valley where you will get to see open air school, beautiful houses and unique Kinnauri architecture. The trek begins from Sankari being the Base Camp and then further moves towards Himri to Sarutal to Badang to Daldhar to Dev Bhasa and then heading back to Sankri via Jakhol. A trek in the holy water of the Sar Lake, The Saru Tal Trek is one amogst the frequently travelled treks in Uttarakhand. It is Located at an elevation of 4200mt in the Western Garhwal Himalayas of the Uttarkashi district of Uttarakhand. The Saru Tal experiences moderate climate in the day by being pleasant and the nights being cold. It lies in the Govind Wildlife Sanctuary of Uttarakashi and therefore you get a chance to experience a huge diversity of wildlife here. The trek starts from Sankari as its base camp and then further a 9 to 10 day trek that passes in from the Kedarkantha Peak Summit to the Dunda Thatch to Pustara Thatch and then heading back by both of these Thatches. A trek in the beautiful region of Himachal and Garhwal Himalayas, Nalgan Pass is located in the northeastern part of Uttarakhand starting from close to Himachal border, heading east and then south. . At the Nalgan Pass Trek you will get to see the excellent view of both Kinnaur in Himachal and the Garhwal side from Nalgan Pass. Here you will also discover the Kanasar Lake which is totally majestic. 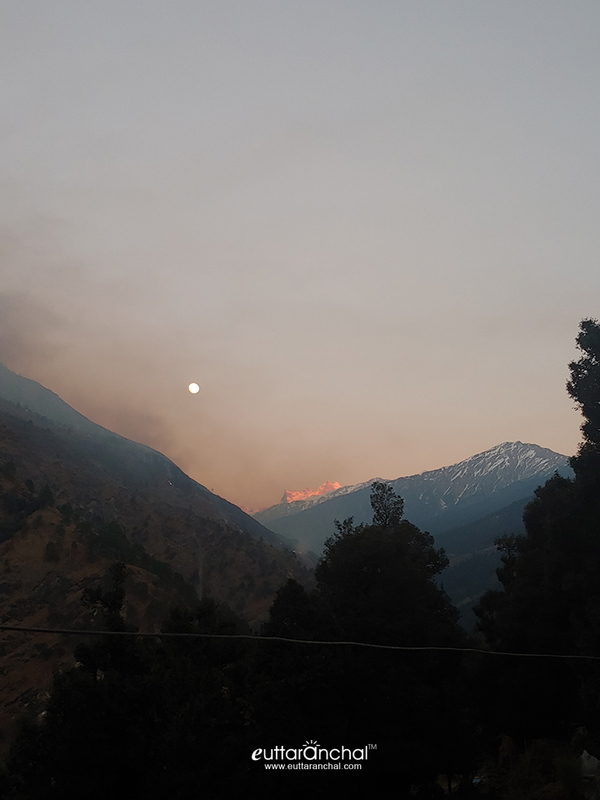 With Sankari being the Base camp the trek starts from the Sangla Road and then passes by a number of villages like Dhaula Village, Gosangu, Jakha, Suriwas, Sangla, Rani Kanda, Dumti/Sunthi, Gaundhar, Kiarkoti and Harshil. The Maldaru Tal Trek is a summer delight that will leave you struck by awe because of the gorgeousness of the gigantic Himalayan valley. The Maldaru Tal is located at 1500m above the village towards East and its location makes it a perfect destination for all the trekking. The Maldura Tal along with Ruinsara Tal and Baraadsar Tal this lake makes up the trio of easily accessible lakes in this region. The Maldaru Trek begins from Sankri being its base camp then heading towards Dharkot to Vishkpuri, To Rashi to Seema and then back to Sankri. The Black Peak is also known as the Kalanaag. It stands at an elevation of 6387m in the Govind Wildlife Sanctuary and National Park in the Uttarkashi district of Uttarakhand. It is one amongst the prominent range overpowering the Banderpuch by its charm. The trek to Black Peak Base Camp trek begins from Sankri being the base camp and then goes through Taluka, Osla, Ruinsara Tal, Kiyarkoti and then climbing up to the many base camps of Black peak. What is Sankri Range famous for? Sankri Range is famous among tourist as Trekking Base Camp. Sankri Range is popular destination for following activities/ interests - Adventure, Base Camp (Trek), Bird Watching, Camping, Emerging Destinations, OffBeat, Orchards, Romantic, School and Universities, Village Tourism. Travelling to Sankri Range in 2019? Contact us for planning your Sankri Range tour with best travel packages of as per your requirements!